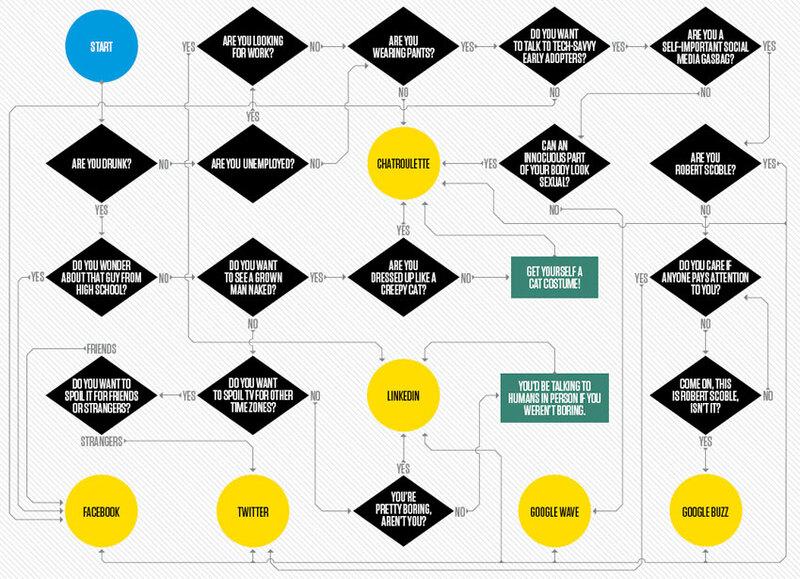 This flowchart by Wired‘s Mathew Honan helps you decide where to head for a chat, depending on your current status, intoxication level, interests and clothing. Posted by Pieter on June 16, 2010 at 2:13 AM. Use this trackback if you're linking this story.